Labels large enough for promotional message or logo. Labels large enough for promotional message or logo. Stays secure with permanent self-adhesive. 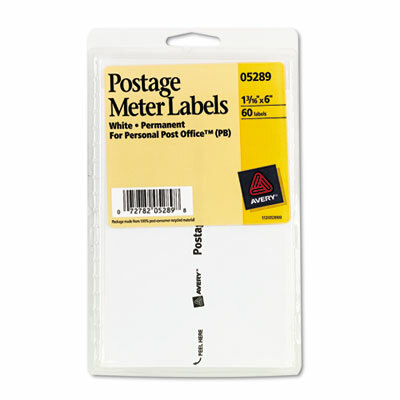 For use with the Pitney Bowes® Personal Post Office™ postage machine E700 meter.